Features 16 kinds of yarns of different colors. scissors. meter of cloth. Set of spare needles. thimble. pins. Seam ripper. 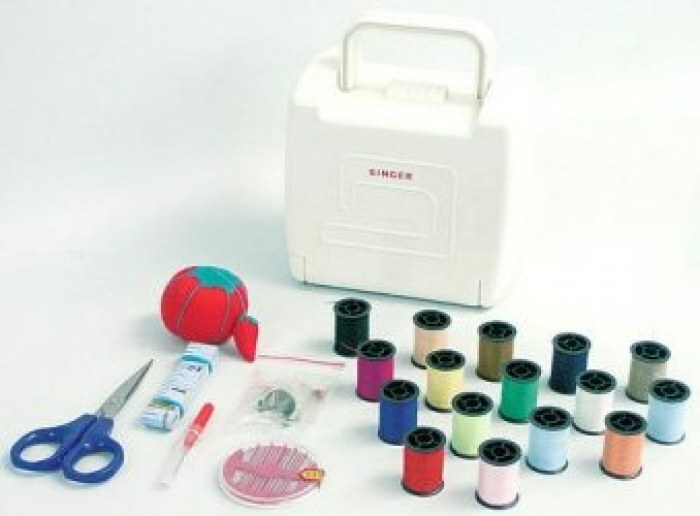 manual needle threader.